Investing in real estate, especially out-of-state, can be a frightening experience. Speaking with an experienced investor or turnkey real estate company can be difficult if you don't know the lingo. There are many sources for information online, but verifying the accuracy of researched information is hard when you know very little. Podcasts are a great way to learn regardless if you sit at home or not. 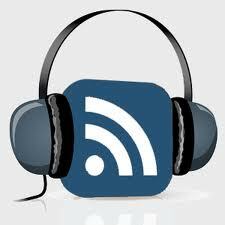 A podcast can be listened to at your computer, on your mobile phone or downloaded to a CD. There are many informative podcasts that you can use to gain knowledge and build your personal repertoire of real estate tips. The great thing about podcasts is that they are released by publishers or real estate professionals on a constent basis. You will always receive the most updated information involving real estate and investment properties free of charge. One of the longest and most respected real estate talk radio programs has been turned into a podcast. The Real Estate Guys have been educating beginning and advanced real estate investors since 1997. Learning from experienced professionals is one of the easiest ways to gain accurate information that you will use daily as an investor. The Real Estate Guys radio podcasts can teach you a lot about investing. Flipping houses is how many investors become involved with investment properties. Not every investor flips a house immediately after it is purchased and rennovated. The idea of buying and holding is important to understand and the Ulimate Real Estate Investing pocast is centered around maximizing property investments. While a regular frequency of podcasts are released, the series has been around for several years and a huge back catalog exists to help you find many golden nuggets to use as an investor. Some real estate agents keep all of their secrets to themselves and the "Rebel Broker" gives you his secets for free. You are not learning from a book or YouTube video here. This experienced real estate agents provides his experience, thoughts, suggesions and things to stay away from during your real estate career. With 3 to 4 podcasts released each month, you will always have a constant supply of information to absorb as a real estate investor. Making a fulltime income as a real estate investor is not impossible and is a reality for many investors. There are many things to learn about how to make the smartest investments and decisions each day in your real estate career. Learning from the Real Estate Investing Mastery podcast can help you position yourself as wealthier investor as you reduce your time working for other people. If you are near retirement, this podcast can teach you the ways to supplement your income with real estate after you retire. Without smart investment decisions, you will be forced to use your own supply of cash to buy property. Jim Kramer's famous "Mad Money" show on CNBC is now a free podcast. This daily show provides you with financial tips that you can use to help build your investment wealth by staying current with strategies that work. Diversification in real estate also includes standard investments to help grow your monthly rental cashflow. Managing your investments better will help your investment property business.